The decision came after a review of evidence, including "multiple videos, statements from several witnesses and the parties themselves." 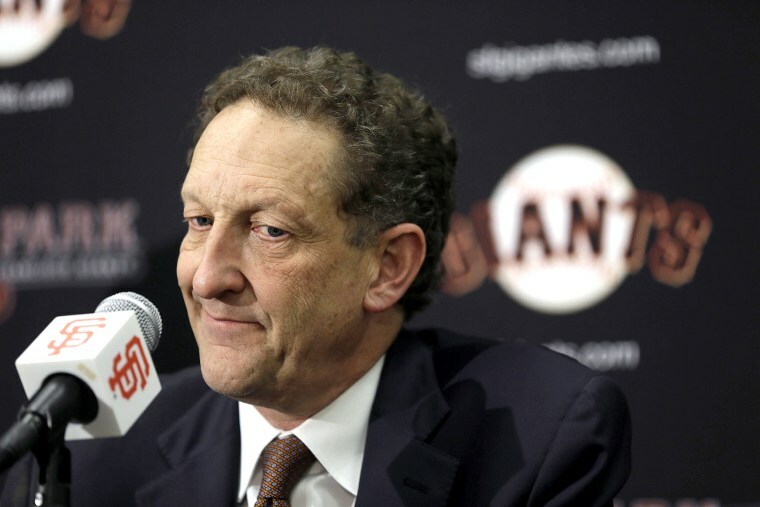 San Francisco Giants CEO Larry Baer will not be criminally charged in an incident in which the executive was seen getting into an altercation with his wife that resulted in her falling to the ground in a public plaza earlier this month, the prosecutor’s office said. After a complete review of the evidence that included “multiple videos, statements from several witnesses and the parties themselves,” prosecutors could not move forward with a case, said Alex Bastian, a spokesman for the San Francisco County District Attorney's office. TMZ Sports first posted video on March 1 of the physical altercation that occurred as the couple was sitting outside having coffee in San Francisco. The video seems to show Baer grabbing a cellphone from his wife, Pam Baer, which leads to her falling out of her chair screaming, "Oh my God!" The video is noncontinuous and NBC News has not viewed it in full. In a statement released by the Giants on the evening of March 1, Baer apologized to his family and organization. "It is not reflective of the kind of a person that I aspire to be, but it happened and I will do whatever it takes to make sure that I never behave in such an inappropriate manner again," he said. Baer's attorney, Cris Arguedas, said of the decision not to charge the CEO: "That is clearly the right decision based on the evidence, and we appreciate the thorough and professional investigation conducted by the police department and the district attorney." Major League Baseball had said it was looking into the incident, but a league spokesman did not immediately respond Wednesday afternoon to a call seeking comment on the status of the inquiry. The statement said MLB would be taking the lead in gathering facts surrounding the situation and that the organization was cooperating fully with that process. A spokesperson for the team said Wednesday that Baer is still on leave.